NOTE: The company and website are undergoing a transition. The site will be back up soon. You can not currently make orders through the site. However, if you need to place an order, request repairs or seek assistance please email [email protected] or call (888) 995-8366. Thank you and sorry for the inconvenience. Our batteries have been in use by federal and state agencies along with private businesses and learning institutions for close to SEVEN years! Welcome to eFisherSupply.com, your home for electrofishing replacement batteries and accessories. We currently offer lead acid batteries made with quality cores, ABS plastic sleeves, and replaceable fuses. Those batteries are designed to be used with Smith-Root* backpack electrofishers. They'll give you the power you need, when you need it, guaranteed. Ever have a battery fail after only one field season?That won't be a worry with an eFisherSupply.com battery, we offer an 18 month limited-warranty that covers workmanship, materials, and return shipping! This will extend your warranty coverage well into the next season. Our batteries are easy on your budget! We understand that finances are tight and if you compare our prices to the competition you'll see close to a 25% savings. That adds up quick and if you subscribe to our e-newsletter or follow our Google+ page you could get additional savings through special coupon codes! Our design is superior to the competition! We use quality battery cores wrapped in thermo-molded plastic for extra durability. The handle has been increased in size to more easily accommodate glove use and all batteries come standard with a replaceable fuse. No more throwing out good equipment for what should be a simple fix. We don’t let our batteries sit around. We make your battery packs when they are ordered to ensure maximum life expectancy. Allow 2 – 4 weeks for delivery. Compare our warranty to the competition. Our policies secure an 18 month limited warranty that covers workmanship, materials, and shipping on all batteries and accessories. Checkout using our secure GeoTrust SSL that offers up to 256-bit encryption. Whenever you see the secure seal in the bottom right corner you know you are transmitting data in a secure area. No complicated forms or restocking fees. 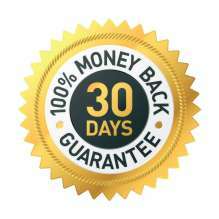 If you are not completely satisfied within 30 days of receiving any product or service offered from eFisherSupply.com, we will issue you a full refund for that product or service. Is your project larger than its budget? Do you have a collection of broken anodes and cathodes? Why spend precious funds on replacement? Send those old electrodes to us and have them repaired! We offer services unavailable elsewhere! We have an electrode repair service, which on average, costs nearly 60% less than replacement. We’re good at what we do! Our customers have saved thousands of dollars opting for repair over replacement. Often our repairs make the wand stronger than new! Support a small company! Help American business thrive and grow. We make every effort to source the equipment we use to make our battery packs and repairs from companies right here in the USA. Note: Not all wands are fixable see the repair page for details. *eFisherSupply.com is not affiliated or associated with Smith-Root Inc.
eFisherSupply.com is owned and operated by E-Fisher LLC.